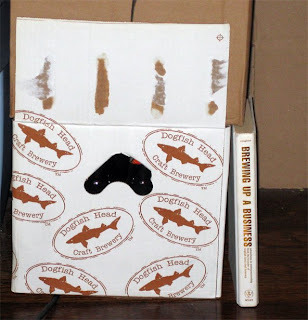 Brewing Up a Business: Adventures in Entrepreneurship from the Founder of Dogfish Head Craft Brewery is a very different beer book than any of the others I have reviewed so far. It is not a book on how to brew better beer, instead it is the story of Sam Calagione the founder of Dogfish Head. This book is relevant to homebrewers because I think most, if not all, of you have had the same though, "Why don't I start a brewery?" This book takes a look at everything that went into making Dogfish Head a success, and it was a lot more than just brewing tasty beer. Content: The author covers the basic story of how he got, what is now, one of the most popular craft breweries off the ground. The book starts out more as an autobiography, but quickly goes into how Sam discovered good beer, homebrewing, and came to start a brewery. The most memorable anecdote from the book is from the early days of Dogfish Head. Sam didn't have enough money for a multi-barrel brewhouse, so he bough a big homebrew system and brewed many times a week. With so many batches to brew he got bored and often tried interesting ingredients from the brewpub kitchen, leading to some of their well known beers. So something that could have been a hindrance to his business ended up providing a real benefit. Most of the book however covers things that have little to do with brewing great beer. Marketing, image, and promotion dominated large parts of the book. It is interesting to hear both the successes (like brewing Midas Touch based on archaeological data) and the failures (like some upside down labels, or rowing a case of beer across the Delaware River for their first "export" from Delaware). Sam often tried to apply the lessons he has learned at the brewery to any small business. Things like encouraging innovation from your employees (stacking cases differently to improve efficiency), crafting a recognizable brand (he is particularly fond of their font), and dealing with sales (especially the value of good sales people). The book also has some good tips for keeping yourself going when you are working long hours for what seems like no profit. On top of this is just gives a flavor for the life at a small brewery (selling T-shirts a rest stops for gas money coming back from festivals etc...). Recipes: Brewing Up a Business doesn't have any recipes, but you can check out Extreme Brewing if you want some Dogfish Head recipes. Accuracy: I've never started a craft brewery, but I think it is reasonable to assume that not everyone has the same situation so what worked for Sam may not work for you. At the very least there aren't any glaring inaccuracies that I could find. Readability: Sam was an English major, and his writing shows. The book is well written, interesting, and easy to read. Overall: This of the sort of book that anyone vaguely considering opening a brewery or brewpub should read. It is pretty light on the hard details, but it gives you a feel for what starting a small brewery is like. I think the market for craft beer has also changed immensely in the last 15 years, it may be that this book is most applicable if you live in a part of the country/world where there is not a big craft beer presence. I have yet to read Beer School from the founders of Brooklyn Brewing, anyone read both and want to suggest one over the other? Any other good books out there for people considering (dreaming about) opening a brewery? Having majored in business and being a homebrewed (and dreaming of opening my own brewery someday) I found the book interesting, and even useful, from an entrepeneurial point of view, but rather useless for the homebrewer. I think it´s engaging and well written. Completely agree with your review. He is fond of their font? Jesus, it's even worse than Comic Sans, which is tough to do. Other than that, their design is decent. I’ve read both and enjoyed them, but Calagione and Hindy’s books felt like opposite sides of the spectrum. Calagione’s book is light and playful, with a focus on creativity and marketing. Hindy’s book was as much about starting a brewery as creating and selling a business plan to investors. I found Beer School to be a lot more practical for the budding entrepreneur. I read this book today and it is not only "light on hard facts" it is a self serving diary of this man's life. 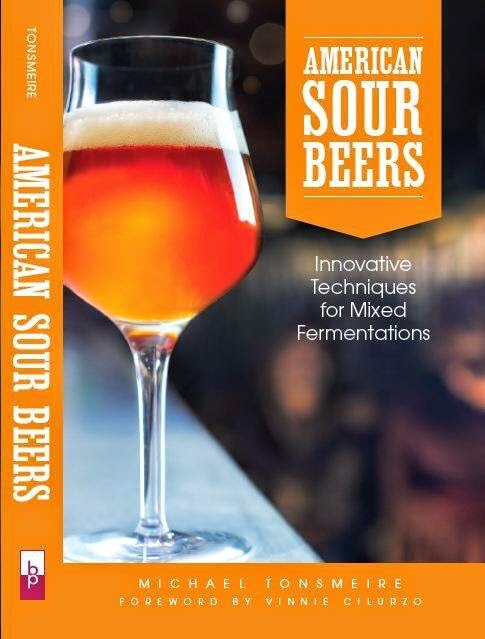 I guess I am one more sucker who thought he was going to find out some useful information regarding starting a small brewery but chose to ignore the lower case section of the book's title. WASTE OF TIME FOR SERIOUS BEER BREWERS!